The strongest earthquake to hit Ecuador in decades has killed nearly 600 people and affected at least 250,000 children. UNICEF assistance and emergency supplies are reaching affected areas. 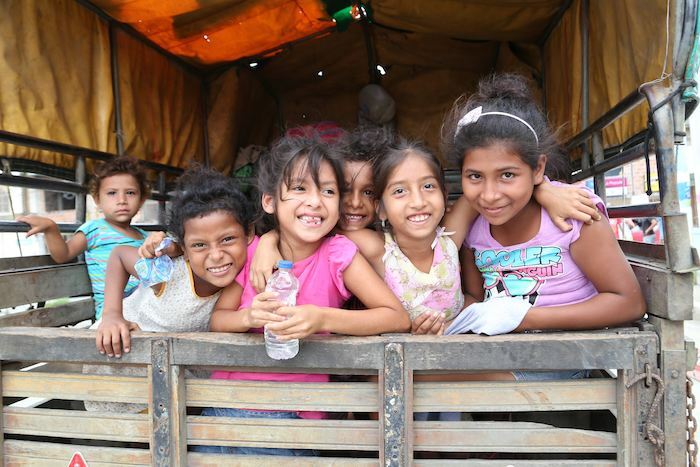 In shelters all along Ecuador's affected coast, UNICEF is working to introduce the "Retorno a la Alegria," or Back to Happiness, program to help children who have been traumatized by the disaster regain a sense of normalcy. As the number of affected Ecuadorian children climbs to at least 250,000, UNICEF has delivered large amounts of lifesaving supplies to northwest Ecuador, the region most devastated by the earthquake. A recent UNICEF airlift of 86 metric tons included relief items such as as 10,000 fleece blankets, 300 plastic tarps, more than 100 large tents, 4,000 insecticide-treated bednets, 250,000 Vitamin A capsules and diarrhea treatment kits. Art supplies — providing psychosocial support for children at risk of post-disaster trauma — are also arriving. Update 4/21: See how Ecuador is starting on the long road to recovery — with your help. 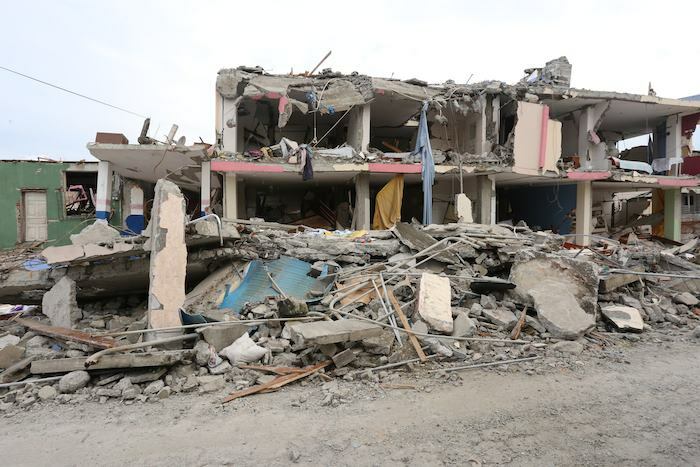 Below, four photos (courtesy of UNICEF/Ecuador) from Pedernales, one of the Ecuadorian cities most devastated by the recent earthquake, offer a glimpse of the damage. But these pictures also show how the support of thousands of donors like you — and the work of UNICEF and our partners — is beginning to help kids and their families recover. Update 4/19: How can you help Ecuador? What are the best ways to support earthquake relief? The video clip above shows a staff member in UNICEF's global warehouse in Copenhagen packing water, sanitation and hygiene (WASH) supplies and shelter items that will be airlifted to Quito, Ecuador. Some have asked us about donating goods here in the U.S. for the relief effort in Ecuador. While we are grateful for the desire to help, UNICEF does not accept non-cash goods. Why? Monetary donations are the fastest and most efficient way to provide assistance. Donated goods must be screened, sorted, stored and transported. UNICEF pre-positions supplies to speed up delivery and sources them locally whenever possible. 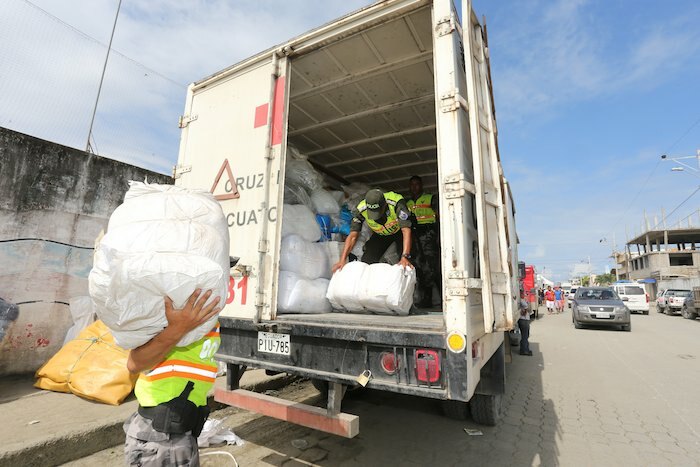 A blanket donated today can take weeks, or even months, to arrive in Ecuador. A dollar donated today, however, will be deployed tomorrow to buy lifesaving supplies. We also purchase supplies in bulk to save money. That means your monetary donation will get more supplies to more kids in need than your donation of non-cash goods. 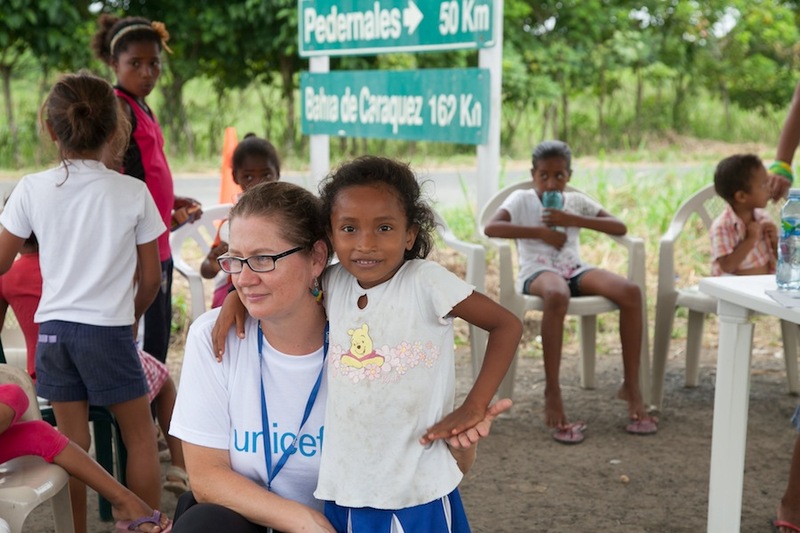 Update 4/18: UNICEF is on the ground in Ecuador, helping children. 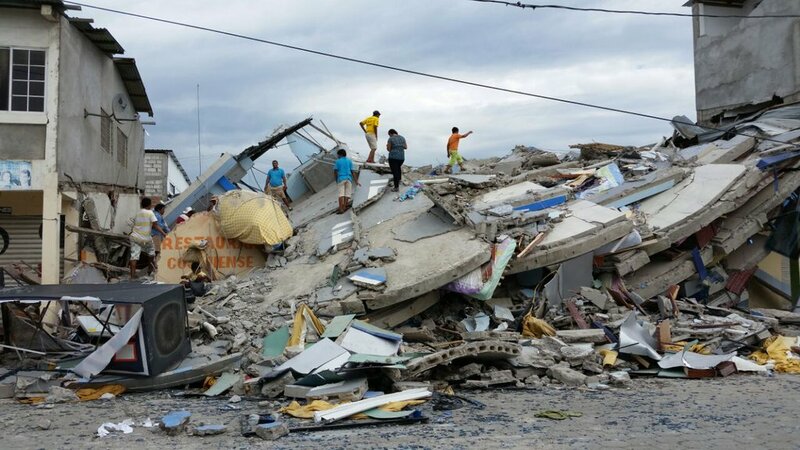 Sadly, the death toll from the Ecuador earthquake has risen to at least 350. Tens of thousands of Colombian refugees are also living in the most affected region on Ecuador's north-west Pacific coast. Initial reports indicate that as many as 150,000 children may be directly affected. A photograph from UNICEF Ecuador's Twitter feed depicting some of the devastation from the recent earthquake. UNICEF, along with our partners, is providing water and sanitation supplies, insecticide-treated mosquito netting, school kits and tents. We are also working in Ecuador to prevent the spread of disease, protect and reunite children separated from their families, provide traumatized children with psychosocial support and offer temporary learning opportunities. 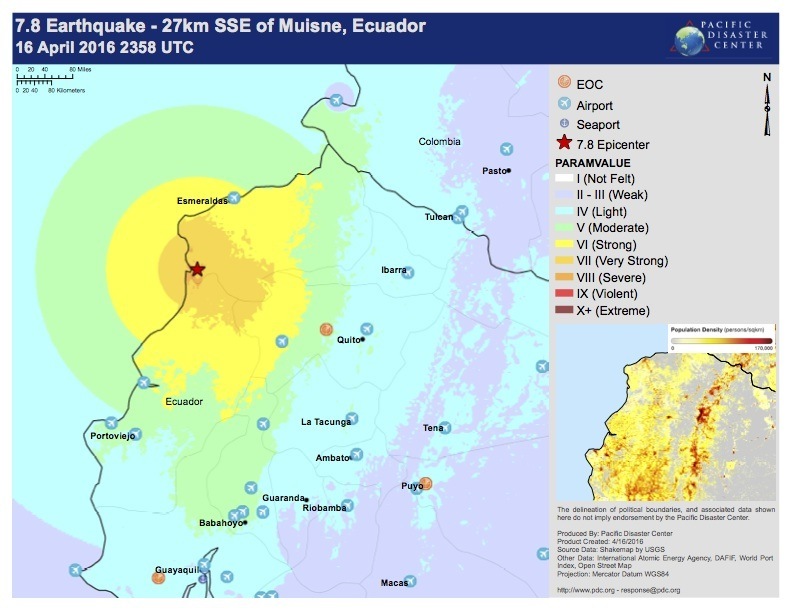 A powerful earthquake has struck near Ecuador's central coast, registering 7.8 on the Richter scale, killing more than 200 people and causing damage as far away as Quito, the nation's capital, some 100 kilometers from the epicenter. The country's vice president Jorge Glas called it "the strongest quake we have faced in decades." Ecuador's government has declared a state of emergency in six provinces. The full extent of casualties and damage is not yet known. Early reports describe devastated villages in northwestern coastal areas and collapsed buildings in Guayaquil. UNICEF Ecuador is working to assess the needs of children and families affected by the earthquake. Supplies like water kits and tents have been pre-positioned by UNICEF in surrounding countries, ready to meet the needs of children and families. Every year, UNICEF responds to more than 250 humanitarian emergencies — hurricanes, earthquakes and conflicts across the globe. With more than 11,000 staff worldwide and 350 warehouses globally, UNICEF stands ready to provide food, water, shelter, protection and health care — before, during and after a crisis. Learn more about UNICEF's humanitarian work in the aftermath of earthquakes, and please support UNICEF's emergency relief efforts in Ecuador. 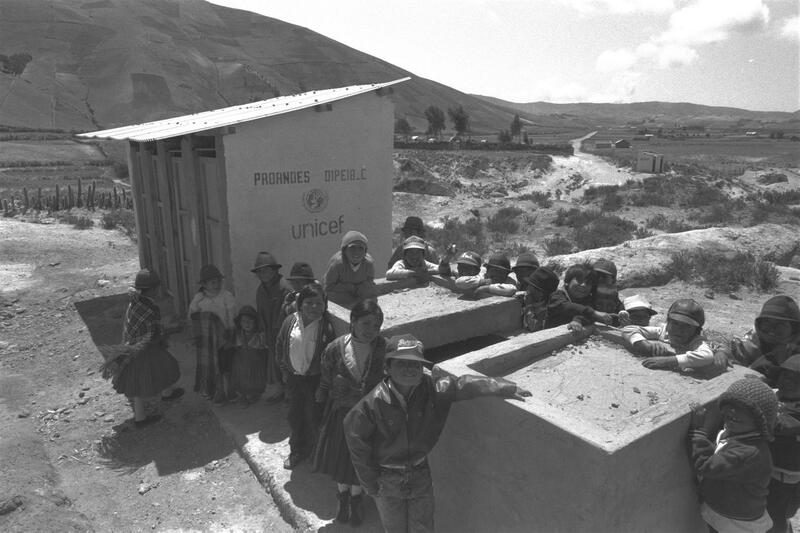 UNICEF has been working in Ecuador since 1973 to promote the well-being of the country's children and adolescents. For more than 40 years, UNICEF has advocated for their rights to quality education, good health, nutrition and protection from the first moment of life. 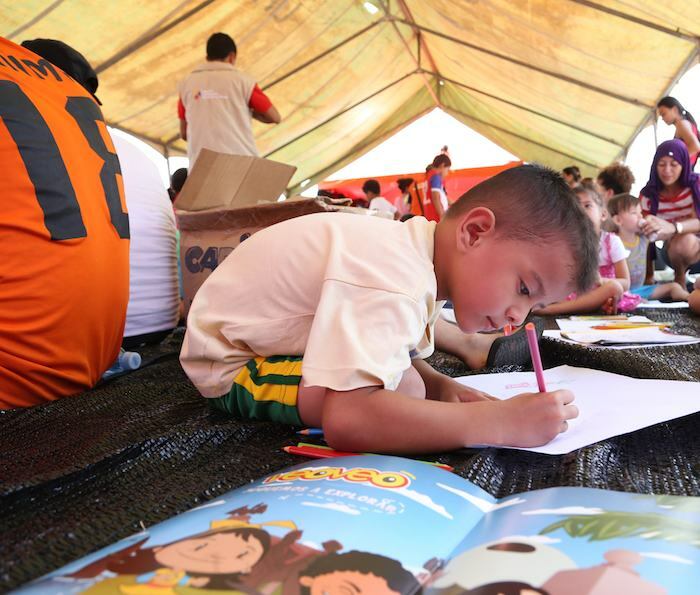 Ecuador is prone to natural disasters (floods, earthquakes, volcanic eruptions and tsunamis), and UNICEF has dedicated its efforts to emergency risk education and the strengthening of strategic capacities to prepare for and respond to emergencies.